Did you know that July is National Ice Cream Month? 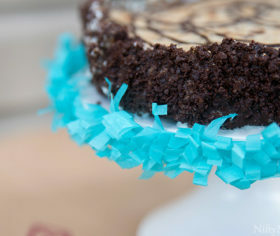 Curly Crafty Mom has some fun and easy ways to celebrate with your family this month. 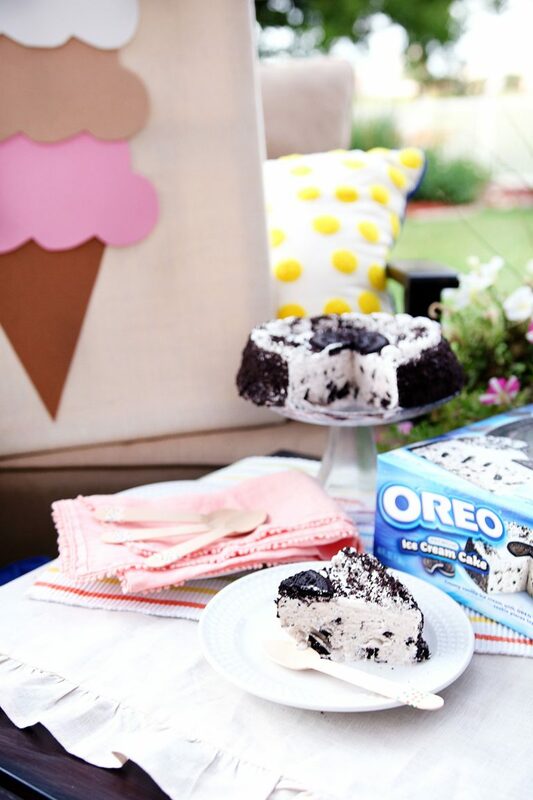 Take an ice cream break outside with an OREO® Premium Ice Cream Cake, lots of lounge pillows, and fun spoons. For this game, you’ll need toilet paper rolls and small water balloons. Give each kid a water balloon “ice cream cone” – a toilet paper roll with a water balloon on top. See how fast they can carry their “ice cream cone” across the yard and back without dropping the water balloon off the top. See which team lasts the longest and doesn’t pop or drop their “ice cream scoop” – or water balloon! This game is easy to create with a quick stop at the craft store. 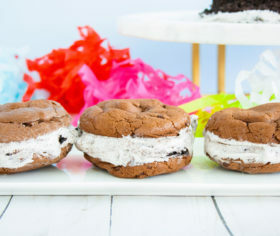 Purchase thin foam paper for each ice cream flavor and brown paper for the ice cream cone. Use red pom-poms for the cherries backed with double-sided tape. Use a bandanna to blindfold each player and try to pin the pom-pom cherry on top! 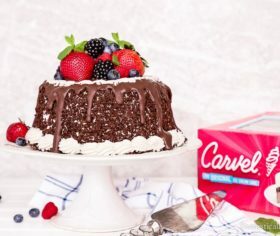 Ice cream cakes are delicious on their own, but surprise your kids with an ice cream topping buffet of sprinkles, whipped cream, fruit toppings, nuts, candies, etc. 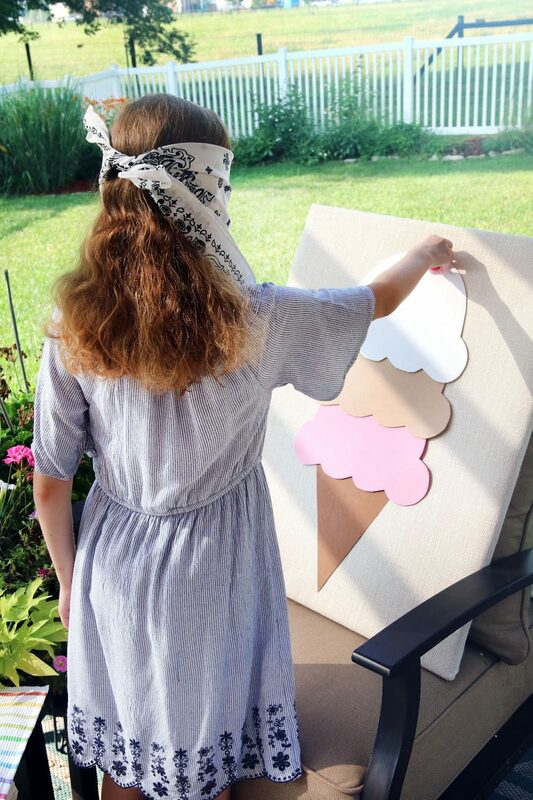 With a cardboard box lid, different colored balls, and ice cream cones, you can set up an easy game for the kids. Glue ice cream cones face side up on the lid of a box. Have your kids stand a distance away and throw their colored ball into the cones. See who gets the most in, and you have a winner! 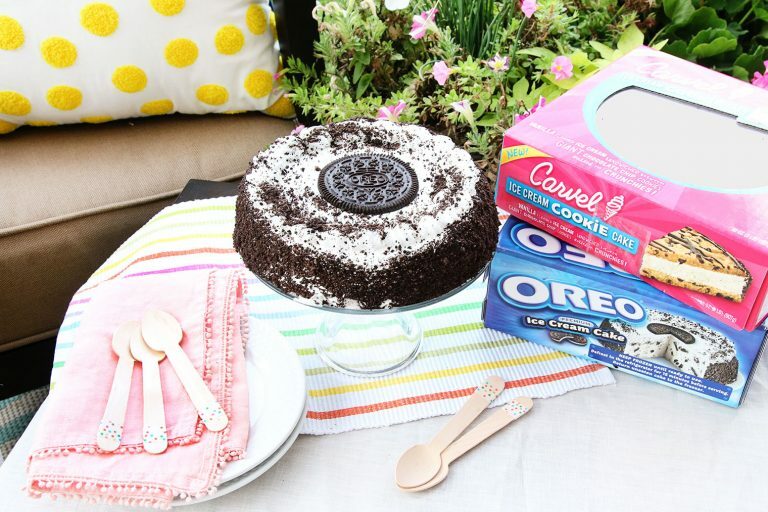 From family celebrations to a job well done and just because, there’s always a sweet reason to make people smile with an ice cream cake.